$6 million Japanese art collection. 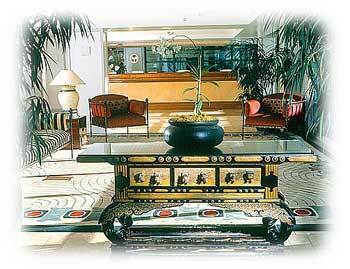 The hotel takes pride in providing the serenity and gracious service of the East along with the comforts and conveniences of the West. Centrally located in San Francisco’s Japantown at the base of prestigious Pacific Heights, the Radisson Miyako Hotel San Francisco Offers a unique blend of Eastern and Western styles surrounded by all the charm and excitement of the city. The hotel anchors the east end of the landmark Japan Center, a fascination three-square block shopping, dining, and entertainment complex in the heart of the city. It is just minutes from the Financial District, as well as many of the city’s leading attractions and cultural offerings including Chinatown, Nob Hill, Fisherman’s Wharf, Union Square, the Performing Arts Center, and Golden Gate Park. 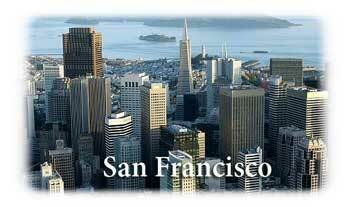 It is 13 miles from San Francisco International Airport. 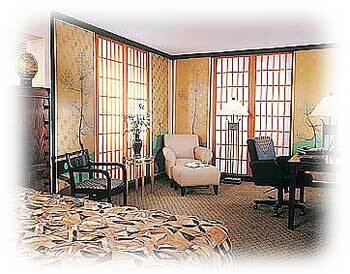 Traditional Japanese rooms and suites in the Garden Wing offer guests a total immersion in Japanese ambience. Raised sleeping areas are carpeted with handsomely arranged soft tatami mats and beds are traditional futons with luxurious down comforters. 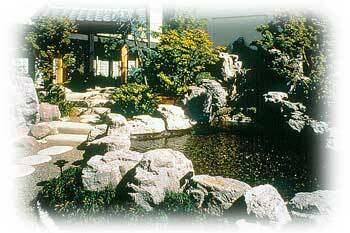 Shoji screens open to reveal lovely rock gardens in the suites. Tokonomas (ornamental alcoves) low tables, redwood saunas, and furos complete the Japanese experience. The hotel’s Executive Sauna Suites include spacious living areas facing the garden. Separate sleeping areas with king-size beds are enclosed by shoji screens and also have garden views. Traditional Japanese art, wet bars, yukatas (long cotton kimonos), private saunas, and furos also add to the pleasure and comfort of guests. Most rooms are Western-style, featuring conventional beds complemented by subtle Japanese design touches that include both shoji and hand-painted, lacquered fusuma screens. Our Business Class accommodations feature key access floor entry, in-room work desk and whirlpool tubs. Regardless of room category, Radisson Miyako guests enjoy luxury hotel services and amenities…dual line data port systems, voice mail, iron and ironing board, coffee maker, hairdryer, cable television with in-room movies and same-day laundry service. 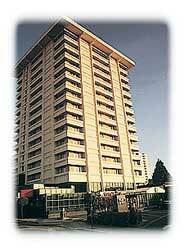 All rooms have High-Speed Internet Access (rooms are either wireless or hard wired).